Finally, almost two years later, Nintendo has re-released their NES Classic console after it vanished from store shelves back in late 2016. 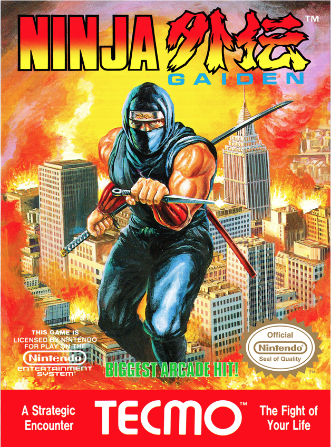 At the time I was one of the MANY unlucky folks to miss out on this wonderful, high-def, nostalgic gem of a mini console. 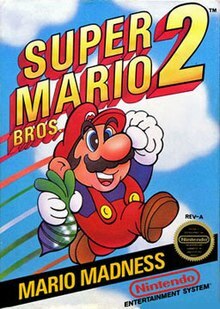 Jam packed with 30 beloved games from my childhood, I was drooling and wishing they would make more of them! The system is now back on the market (if you can find it) and I was happy to have got one for myself they day it was released. 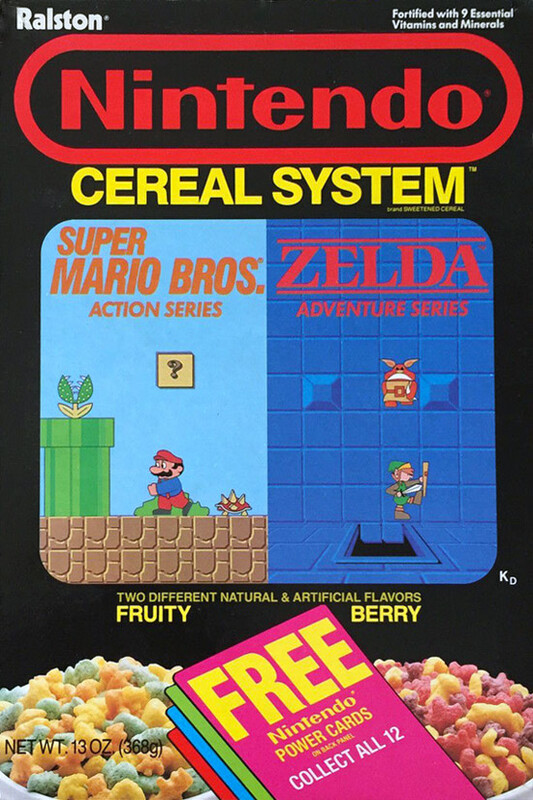 That’s right, a Mario AND Zelda themed cereal in ONE BOX. Oh what a time to be alive. 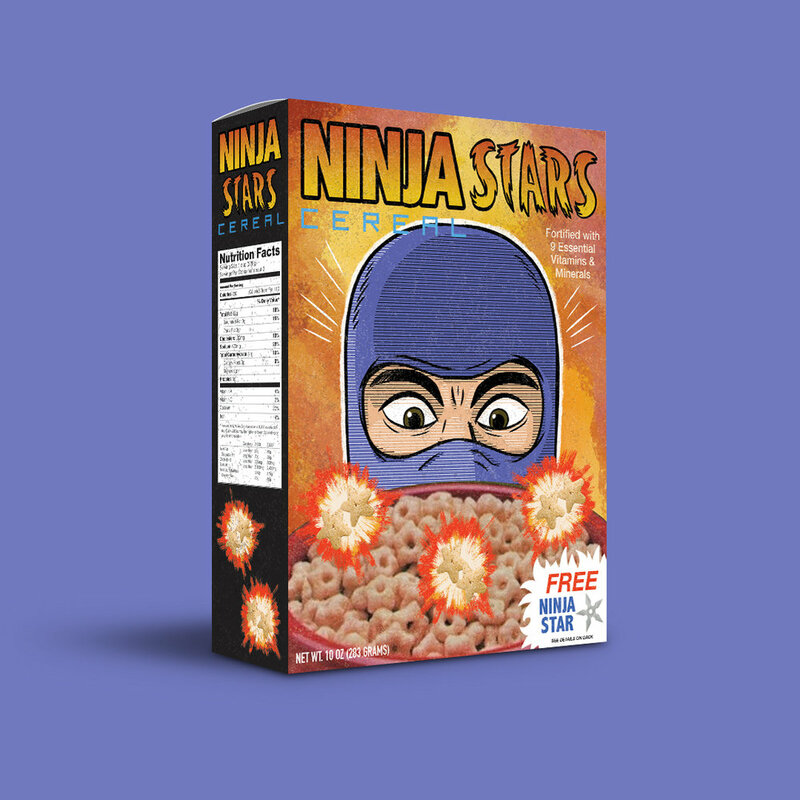 It had me thinking, what if more franchises from the NES era were to have their own cereals, what would they look like? That my friends is what got the gears turning for this little side project. 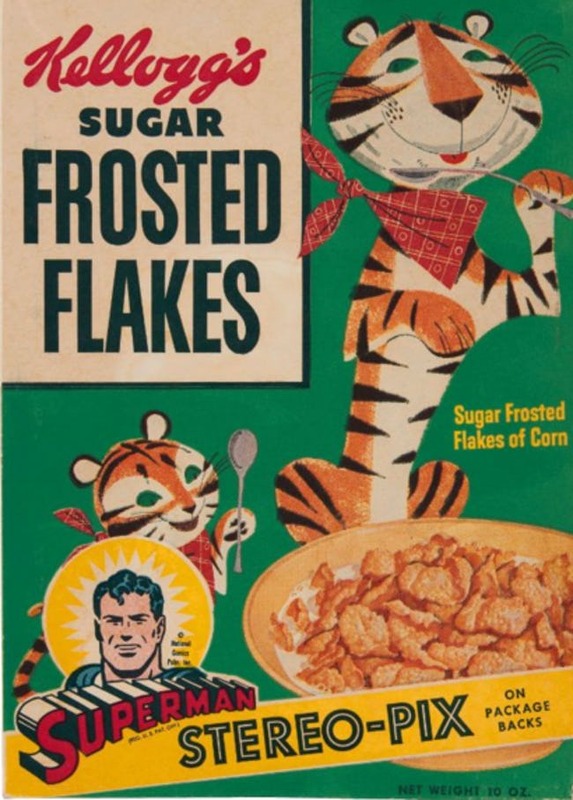 I began researching vintage cereal boxes and designs, all the way back to the 50’s and through today. I really wanted to try and mimic different styles from each decade if possible. 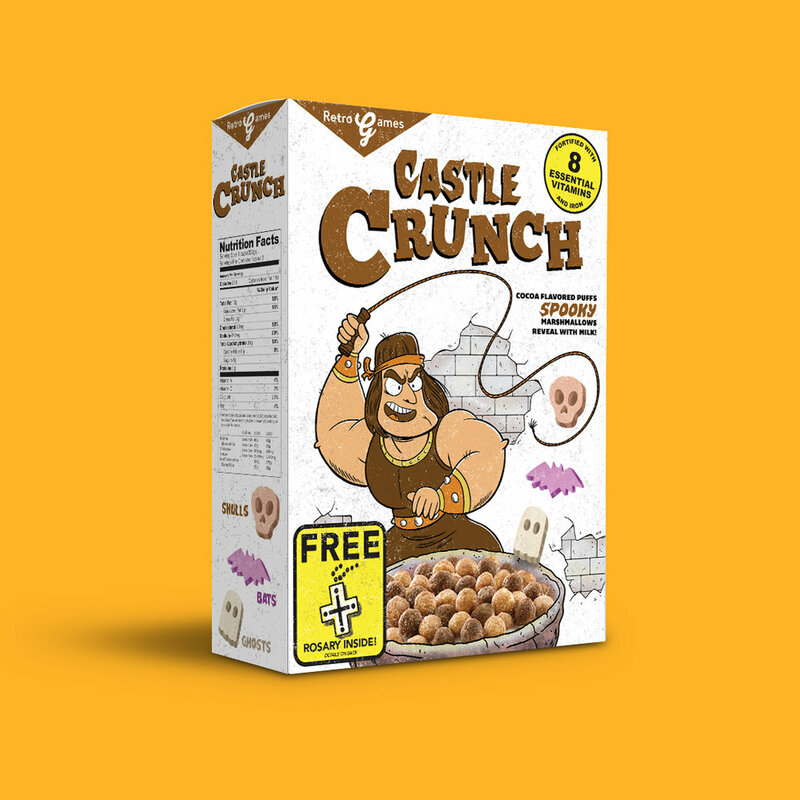 My only rules for this were, to create cereal for games that didn't already have one (Pac-Man, Donkey Kong, etc.) and TRY to not use exact likeness or even main characters so it feels a bit more random and fun. Below you’ll see the boxes I’ve created along with the inspiration for them. 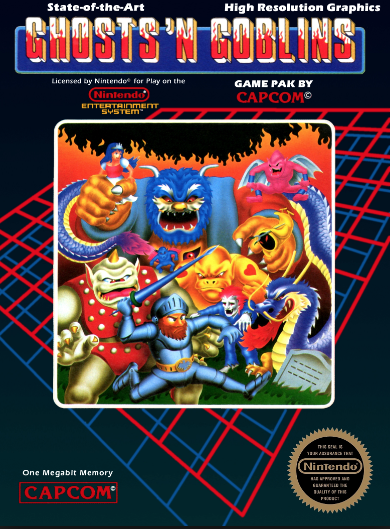 I really thought Megaman lent himself to a much older style. There’s been so much Megaman fan art over the years I really wanted to see what it would be like if he had existed back in the mid to late 50’s. 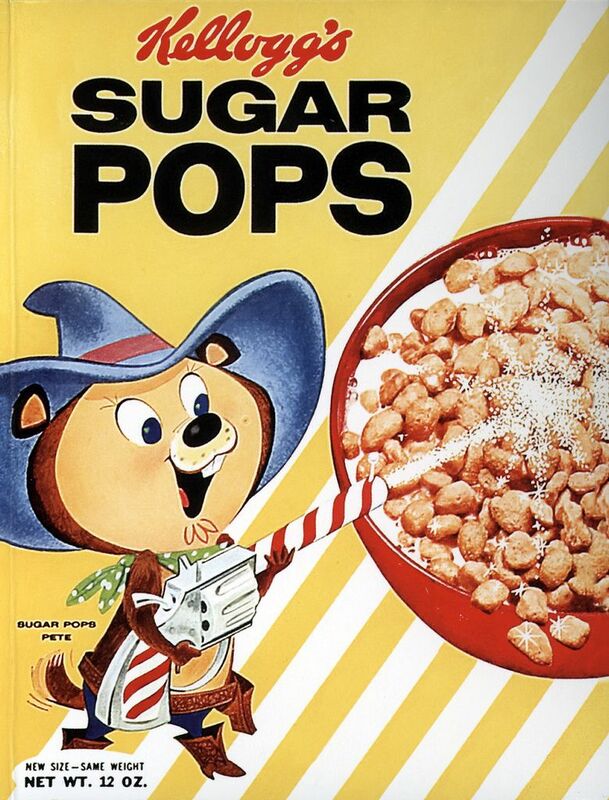 My favorite thing about this was using Sugar Puffs as his pellets from his cannon arm. In the original games the ammo even looks like it! 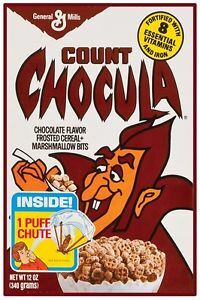 One of my all time favorite cereals is Count Chocula. 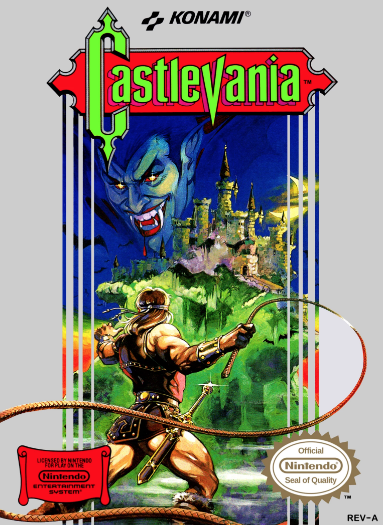 I knew I wanted to make a box for the Castlevania games and these two mashed up together perfectly! I really enjoyed making the spooky marshmallows based off some of the enemies in the game. Also the thought of a free Rosary made me chuckle. 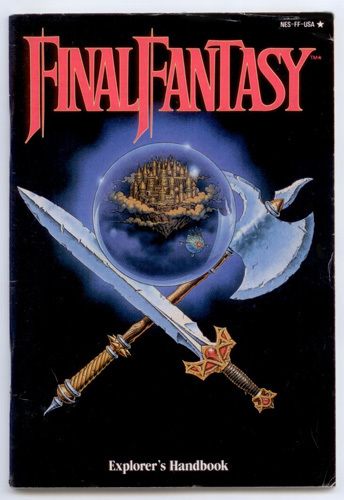 Final Fantasy is often a game people forget debuted on the NES because it's SNES games were SO MUCH bigger. 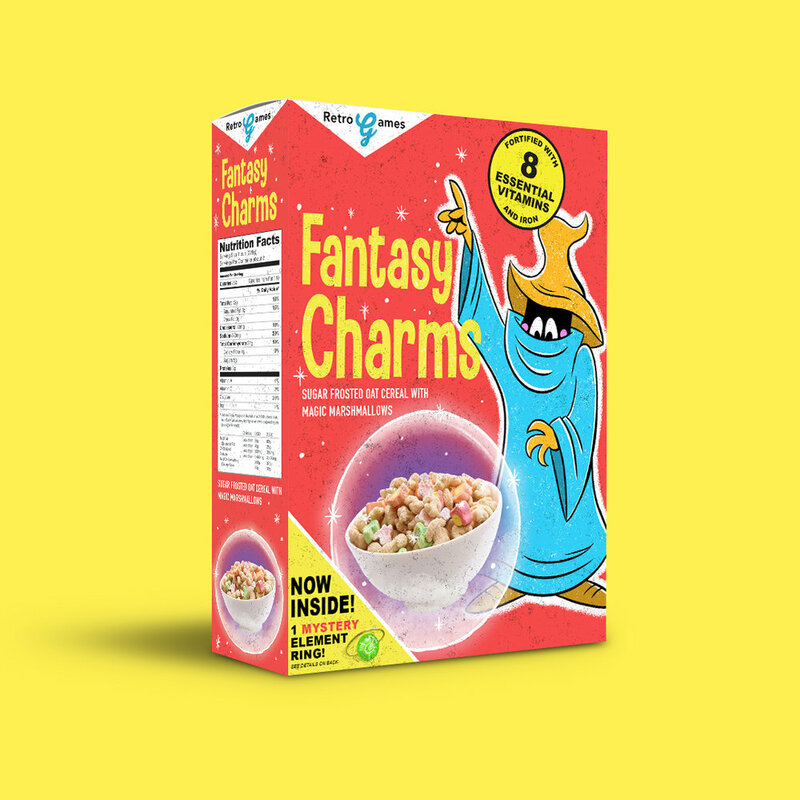 I thought it would be fun to use Lucky Charms cereal as the basis of this idea. 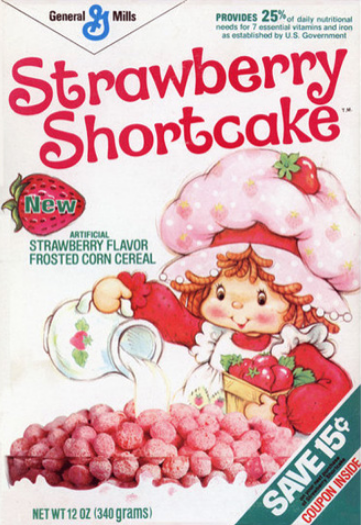 What really stuck with me was finding an old LC box that used a different mascot outside of our favorite Irish man. This guy was more like a wacky wizard which reminded me of the magic/warlock character from the game. 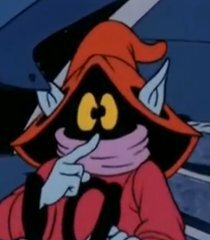 I loved how meshing these two characters together made for a distant cousin of Orko from He-Man. Below are the rest of the boxes I created along with their inspiration. This little series was a complete and total BLAST to work on. 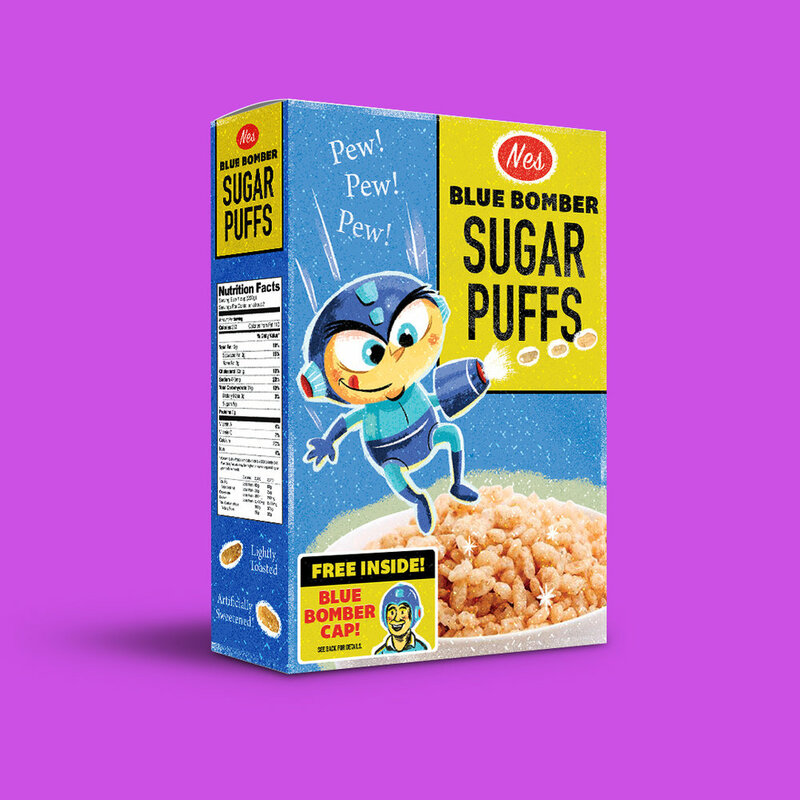 I really enjoyed putting my design skills to the test by capturing the fun type and layouts the boxes are known for as well as creating fun mascots based on the games and older illustration styles. 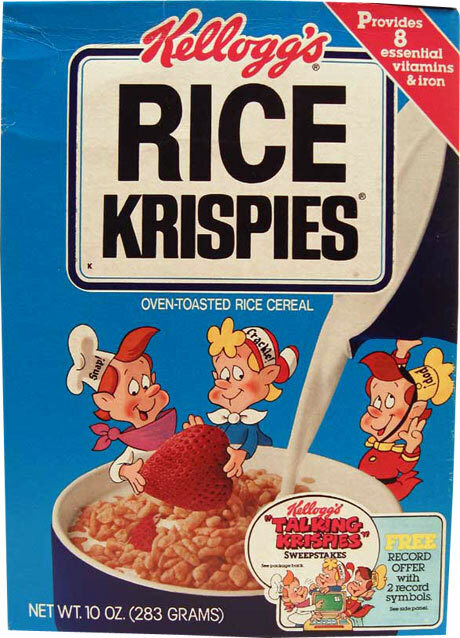 Not only were the boxes fun to do but making up fake box prizes was the best! 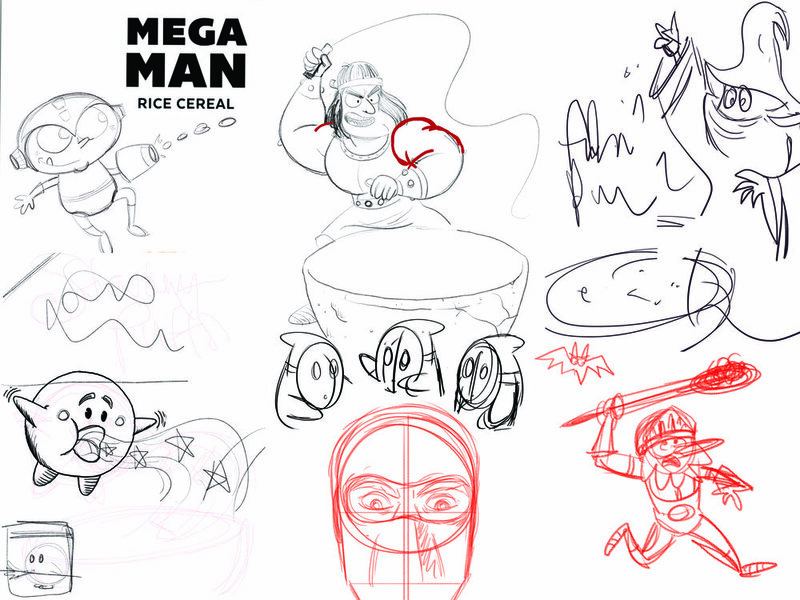 If you ever feel stuck in a creative rut, I really think doing a personal project is the way to spark things back up. I can't recommend doing this enough, it's fun and important even if your just playing with your food.